This week, I am super excited for Fairest by Marissa Meyer! While I'm sad that Winter has been pushed back until November, I am excited to learn about Queen Levana's past. So far, this series has been fantastic, and I hope it doesn't slow down! 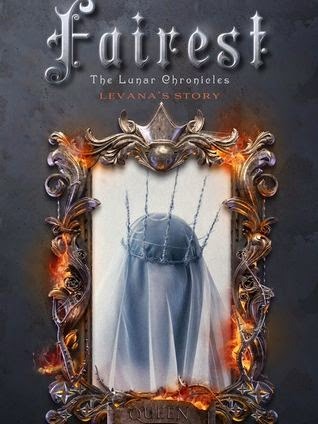 The cover of Fairest is very different from the first three books, but it's still gorgeous!